What selection can cope with the challenges of the bond market? CPR Asset Management highlights risks in the bond market. The policy of central banks will remain a major component on the bond market in 2015. The year began under the guidance of the ECB and its asset purchase programme. That wasn’t the only good news. 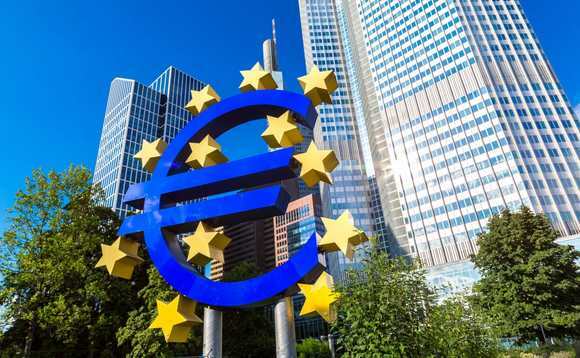 According to Eric Bertrand, deputy chief investment officer and director of fixed-income and credit management, the eurozone is benefiting from “three QEs”: the ECB’s QE as well as two QEs brought about by the decline of euro and oil. However, this decline should not lead to a deflationary scenario, as the ECB seems to be paying particular attention to whether investors are delaying their purchases in anticipation of lower inflation. Such an environment gives hope of good surprises, the first being the 0.2% increase in growth projections for the eurozone in 2015 and 2016. With 3% growth, the United States is confirming its recovery and attracting investors. The improved situation in the US makes an increase in Fed rate almost inevitable. The Federal Reserve must send a signal of a return to normal and regain some leeway in case of a future slowdown. Our teams expect an increase in rates in June, followed by increases of 0.25% at every other FOMC meeting in the next two years. The challenge of this rate increase will be to avoid overly strong reactions from investors. The increase in short-term rates should have an impact on long-term rates in the US and, to a lesser extent, Europe. In the eurozone, the main risk to economic and financial stability is political. In addition to the situation in Greece, the general eruption of Europhobic parties should be watched, while no fewer than 10 elections are scheduled in Europe between March and December. What behaviour should be adopted on the European credit market? Rates are at their lowest point in three centuries on the European market, and half of the bond market yields less than 0.5%. A leading private market participant even obtained financing at a negative rate. This environment has led to many flows within the bond class. The search for yield is forcing investors to take positions on longer maturities, particularly 10 years. Investments are also being transferred between bond compartments: from A, AA, and AAA to BBB and high-yield. On the other hand, the ECB’s sovereign purchase programme should cause a compression of spreads and yields within the zone. Capital flows to the United States are to be anticipated.